Special Offer Thurs. 5/21 and Fri. 5/22 ONLY! Our 1st anthology Reunions consists of emotional, heartfelt short stories about all kinds of reunions. Romantic reunions, friendly reunions, family reunions, you name it, we have it all! And we have some good news! 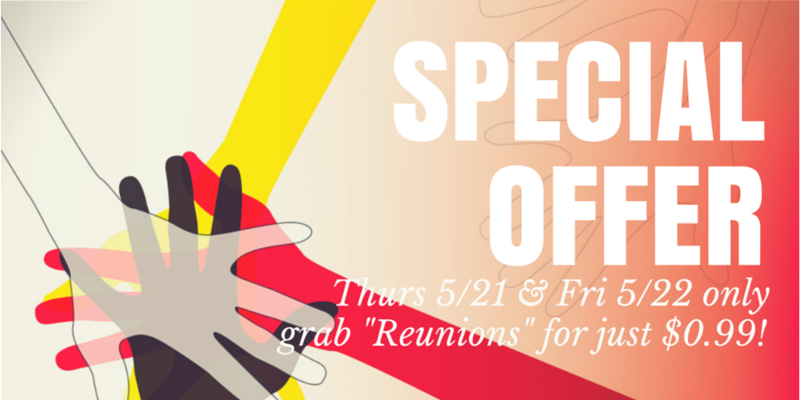 For Thursday and Friday only you can get Reunions at $0.99! Grab a copy for yourself or for a friend and enjoy Reunions during the weekend! Get it here while the offer lasts! Winner of Flash Fiction Contest #8!